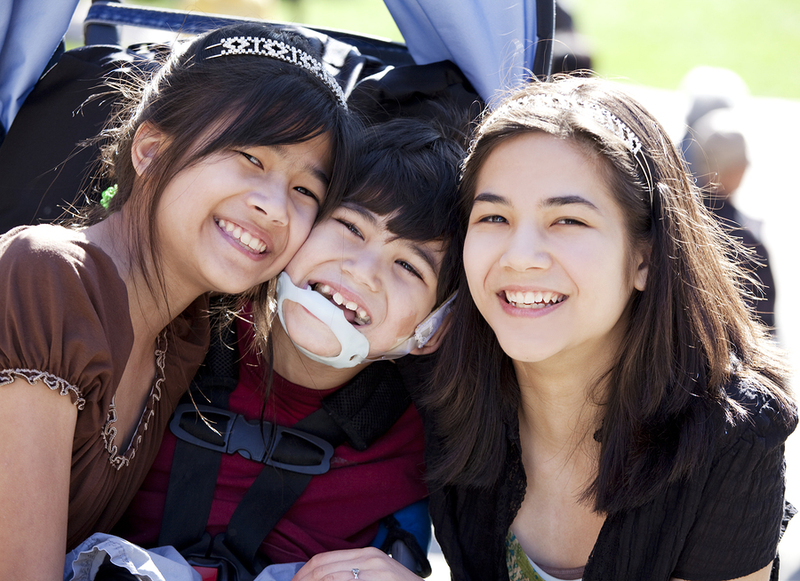 Disabled biracial boy in wheelchair surrounded by his bigger sisters smiling. Child has cerebral palsy. ADA Day 2016 will kick off with ADA Fest at 4 p.m. pm, a great time of games, interactive art, and adaptive sports! We’ll show a mini-documentary about the Americans with Disabilities Act (ADA). Stop by the resource fair for fun and information provided by the organizations listed below (and buy your very own ADA Cleveland 2016 t-shirt!). And don’t forget to take your selfie at Youth Challenge’s amazing “ADA Cle” urban typography mural. • New Avenues to Independence, Inc. The festivities at Wade Oval begin with ADA Fest at 4 p.m. Accessibility accommodations include interpreters, captioning, and shuttle service around Wade Oval.